Ed Sheeran in Montreal or Quebec City? Inform me about the next events for Ed Sheeran. Enroll yourself to our priority waiting list for Ed Sheeran to be alerted when new tickets are available. Filling this form doesn't engage you to any purchase. 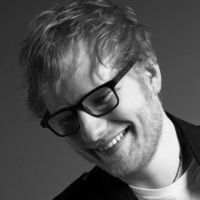 Ed Sheeran is back and fans will get to see him live at Centre Vidéotron, in Quebec City on July 18th, 2017, and then at the Bell Centre in Montreal on July 19th ! According to Spotify, his first album X, which was released in June of 2014, was the most streamed album in the world that year, with over 430 million streams worldwide ! And now, his second album Divide is also breaking records ! The last time we saw Ed Sheeran perform in Montreal was on June 2nd, 2015, for a concert at the Bell Centre. The young british pop-folk singer is quite a superstar ! Don't miss his return to Montreal !